Polytec Robotics is NOT only worldwide leader in robotic solutions for steel industry. ITALY. 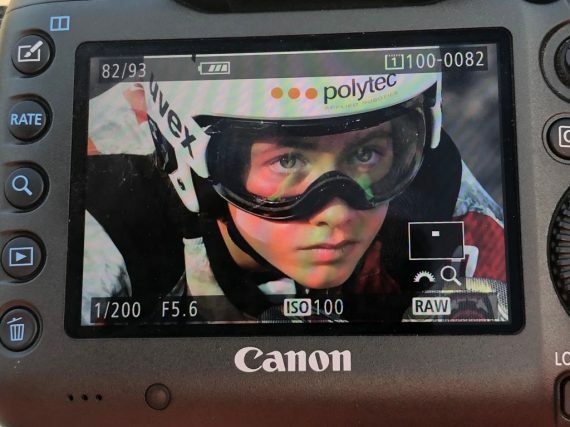 Angelica Bettoni, a rising 13 years old slalom skier will bring on her helmet as Main Sponsor Polytec brand for the seasons 2018/2019 – 2019/2020. The Italian young skier from Bergamo will compete in the next season in the regional, national and international races in her category and with her tenacity and hungry for victory will always aim at the top to be at the forefront as the brand which represents. Angelica Bettoni has received the best Cucciola Italiana award 2017/2018 during the Skipass 2018 sector fair in Modena. Mikaela Shiffrin, the overall World Cup skiing leader, two-time Olympic champion and neo SuperG World Champion in Aare, sent few days ago her best wishes to Angelica’s birthday, offering moreover detailed tips on her technique, chosing Angie from thousand of fans.